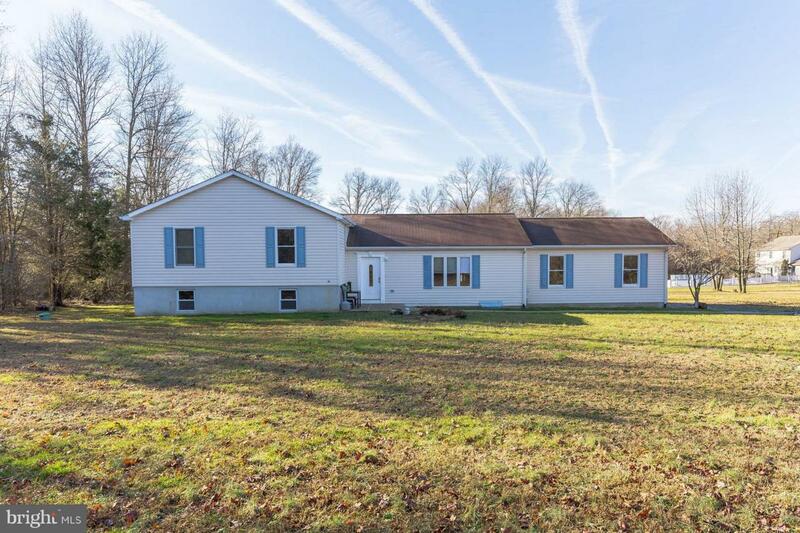 Welcome home to the one you~ve been waiting for, tucked away on 1.7 acres in Swedesboro. Nestled in a quiet, rural corner in the top tiered Kingsway School District, here you have all the appeal of the suburbs with prime access to Philadelphia, Delaware, the NJ Turnpike, and Shore Points. Curb appeal and classic charm greet you right at the door of this beautiful two story with two car garage. From the Fenced In, In-Ground Pool with Diving Board to the spacious tree lined backyard, here you will be dreaming of warmer days as this is the perfect home for entertaining guests and loved ones while maintaining tons of privacy. As you enter the home, you will instantly notice the bright, natural light shining in through huge windows into your spacious living room. Follow through into your incredible Eat In Kitchen, with Ceramic Tile Flooring, Double Sink, Tons of counter space, Barstool Seating, and a full eat in area with beautiful Sliding Glass Doors that lead straight to your incredible backyard. With four spacious bedrooms and a huge unfinished basement, you will have all the space you need for guest rooms, a home office, storage, and much more! There is no denying the potential in this home. It offers endless space and opportunity to make it your own, with the location you~ve been searching for. Don~t wait to make this home yours!